The IAU Cluster on HESD promotes the role that HEIs globally have to fulfil in order to achieve the SDGs and Agenda 2030. Universities are to address the SDGs, which themselves impact on and transform universities. The Cluster encourages a holistic approach to the SDGs, focusing specifically on the whole institution approach. For more than two decades, IAU has worked on Higher Education and Research for Sustainable Development (HESD). In September 2015, the Resolution Transforming our world: the 2030 Agenda for Sustainable Development, and with it the Sustainable Development Goals (SDGs), was approved by the General Assembly of the United Nations. This set the course for the next 15 years of work on Sustainable Development for many governments and organizations. Although IAU had been active in Sustainable Development (SD) before, the adoption of the Agenda 2030 convinced the Association to make this one of its Key Priorities. Unlike other projects in this area, the IAU Cluster on HESD brings HEIs from all continents together, and encourages them to develop joint initiatives and synergies. This project is more than just about north-south, south-south, or north-north connections; it is also about bringing in universities wishing to get involved further to work together on an equal footing. The Cluster works on all dimensions of the SDGs, combining economic, social, cultural, and environmental sustainability. Especially the cultural dimension of SD will be at the core of this Cluster, since this is an area not touched-upon a lot by others. 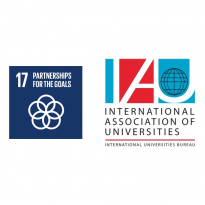 Yet, due to the diverse nature of the IAU, the association believes that this is the key to successful partnerships and a holistic understanding of the Global Goals. Peer-to-peer learning sparks new ideas and creativity among the Members of the Cluster and will encourage other universities to step up their game towards achieving a more sustainable future. The aim is that the Cluster will help generate new joint and collaborative projects and other initiative. The Cluster is composed of 16 lead Institutions, each championing and working on one specific SDG while at the same time linking it to other relevant SDGs. Work on goal 17, which will consist of multiple organizations working together,is led by IAU. Gradually, additional institutions will be invited on board. The Cluster will be supported, monitored and steered by the IAU Working Group on HESD. Initiatives developed by the Cluster will be made available to all IAU Members. 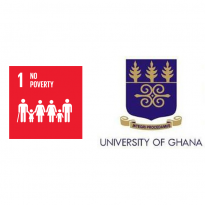 The University of Ghana leads SDG1: No Poverty. The University launched recently the projects: “Economic Inclusion and Poverty Eradication” and “Ghana Economic Well-Being Project”. 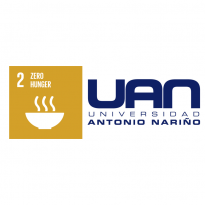 Antonio Nariño University hosts the Faculty of Environmental Engineering. The faculty promotes the conservation of the environment and the development of sustainable infrastructures. 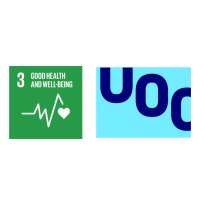 The Open University of Catalonia leds SDG 3: Good-Health and Wellbeing. The UOC is an innovative university that is rooted in Catalonia and open to the world. It provides lifelong learning enabling the progress of both individuals and society as a whole, while also carrying out research into the knowledge society. The UOC's strategic plan has included the 2030 Agenda as part of its roadmap since 2017. The aim is for the whole institution to work towards sustainable development and make a significant contribution to the SDGs. Located in Barcelona, the University is home to the Faculty of Health Studies and the eHealth Center which, jointly with the Globalization and Cooperation department, lead the SDG 3 Thematic Cluster on HESD. The UOC’s goal in terms of health is to educate and empower professionals and citizens through the use of technologies, and to lead the way towards a new health paradigm. It focuses on people through research, education and guidance, with the aim to contribute to the progress and well-being of society. These will be guiding principles for the SDG 3 team. Leuphana University of Lüneburg leads SDG 4: Quality Educuation. What is the role played by sustainable development in higher education? Is there a way to instill in students – in addition to the content of their respective professional studies – a holistic and responsible understanding of science, which includes sustainability aspects? Which competencies do they need, in order to assess the impact of their actions on future generations and other regions of the world, thereby making responsible decisions for the future? And how can relevant teaching and learning formats be integrated into the Curricula of higher education institutions? These are the questions of concern for the UNESCO Chair “Higher Education for Sustainable Development”. 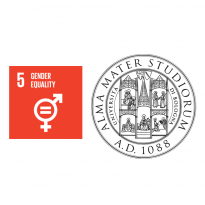 The University of Bologna leads SDG 5: Gender Equality. The University promotes SDG5: Gender Equality throughout the whole institution. Alma Gender IRT is an integrated research team. 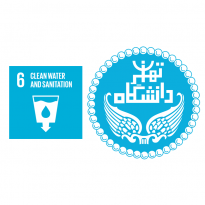 The University of Tehran leads SDG 6: Clean Water and Sanitation. The University is home to the Water Institute, a research unit that focuses specifically on the water resources. 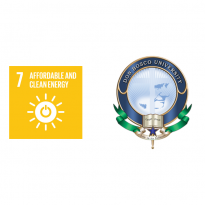 Assam Don Bosco University leads SDG 7: Affordable and Clean Energy. Assam Don Bosco University has committed itself to becoming an EcoFriendly campus. Especially in the field of affordable and clean energy, the university is moving forward. 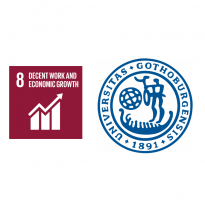 The University of Gothenburg Leads SDG 8: Decent Work and Economic Growth. 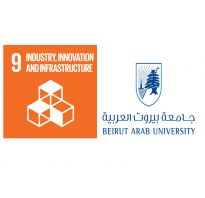 Beirut Arab University leads SDG 9: Industry, Innovation and Infrastructures. Creative Sustainable Development is one of the key research themes at BAU. 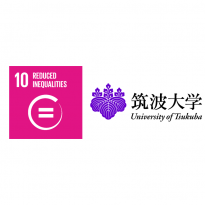 The University of Tsukuba leads SDG 10: Reduced Inequalities. The University offers a Bachelor’s Program in Global Issues, a comprehensive program focusing on literacy in global issues. Students learn what ‘global issues’ are and how they can be resolved from the perspectives of “Environment” and “the Human being”. Siam University committed itself to ‘sustainable urban development.’ This idea has a high priority for Thailand. The plan is for the country to develop the status of a knowledge based society and urban living. This new urban agenda will ensure Thailand’s focus on creativity, innovation, and development path. 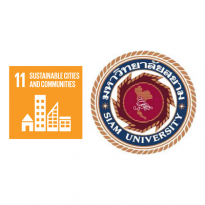 Please click here for a more detailed description of Siam University's initiatives towards the SDGs. 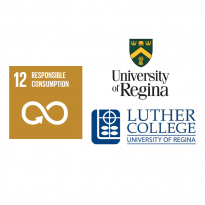 The University of Regina and Luther College lead SDG 12: Responsible Consumption and Production. The Regional Centre for Expertise on Education for Sustainable Development in Saskatchewan is hosted by the Luther College at the University of Regina. It has multiple flagship projects. Among others The Sustainability and Education Policy Network (SEPN); Community Collaboration for Potash Mine Engagement; and Reducing Pesticide Use: Plant Health Care Model. 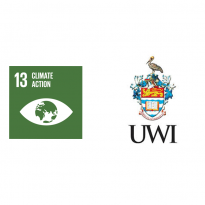 The University of the West Indies leads SDG 13: Climate Action. The University of the West Indies is located in the Caribbean and hence in one of the areas already affected by climate change. The University has multiple initiatives focusing on sustainable development: the Climate Studies Group Mona (CSGM), Institute for Sustainable Development (ISD), the Centre for Resource Management and Environmental Studies (CERMES), and the cross-campus UWI Resilience Working Group (UWIRWG). 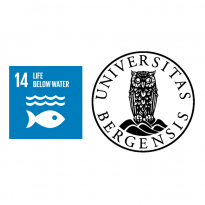 The University of Bergen leads SDG 14: Life below Water. The University of Bergen (UiB) is Norway’s largest marine university, with research and education of a high international standard and several world leading research environments. In 2018, a new research center to focus on sustainable ocean research was established, the Ocean Sustainability Centre. 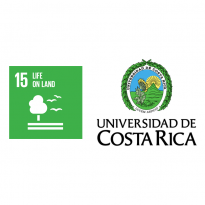 The University of Costa Rica leads SDG 15: Life on Land. Costa Rica contains nearly 6% of the world’s biodiversity, making it the country with the highest density of biodiversity worldwide. The University of Costa Rica (UCR) hosts the Centre for Research on Sustainable Development (CIEDES) and conducts relevant research in other areas related to the topic. 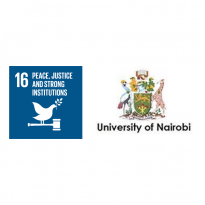 The University is home to the Wangari Maathai Institute for Peace and Environmental Studies. The overall aim of the institute is to cultivate better environmental stewardship and management of resources and ultimately a reduction in related conflicts. IAU has promotes higher education teaching, research and community engagement to foster sustainable development since the early 90. Building partnerships and networking for sustainable development and to address the SDGs and Agenda 2030 is inscribed in its DNA. We are pleased to partner with Universities and HEIs and with committed national and international Organisations to build the synergies that are required to help achieve the goals.